Which Hair Salon is right for you? A private salon or a communal salon? Most hair salons in the UK are deliberately exposed and excessively visible. This is something that became very trendy during the 1970s when people found their hairdressers by looking in through the window and deciding if they liked what they saw. Customers were frequently placed in front of a ground floor window with their hair wet or worse, with foils and tint in place. Lots of staff running about with loud music playing, being passed from one member of staff to another and not feeling as though the service was up to scratch. Oddly, today in most cases things in salons have hardly changed. Not for customers though, these days, people want and expect better. Most people now use the internet to help with their buying decisions, whether it’s shopping for clothes or finding a new hairdresser. In fact, Yellow Pages is now so thin it looks more like a pamphlet. At Peter Regan Hair Studio, I work in a private studio environment that is not at street level. There are security guards at reception to ensure your privacy. 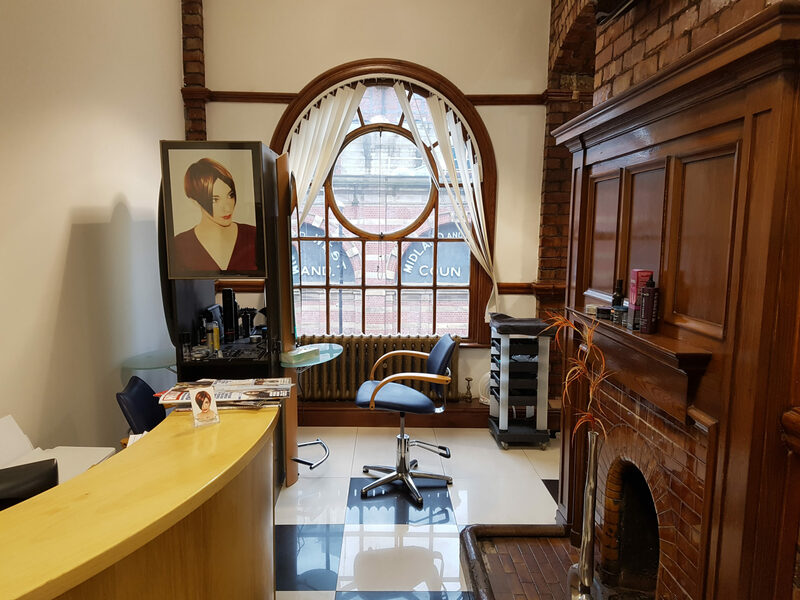 This enables me to consistently deliver the highest quality precision hair cutting, detailed colouring, permanent hair straightening and styling services, in a friendly and private environment at a reasonable price. All procedures are carried out by me personally. For many years I have been working at the top of the profession; in the salon, on shows in front of thousands of hairdressers, on Television programmes and commercials, corporate training programmes and Feature Films. I’ve lost count of the number of people who have come to me to fix a badly executed haircut or colour. When I trained, I always concentrated on why the best hairdressers I knew did the things that they did and why their attitude to their work set them apart from others. Together we didn’t just follow a set of rules that somebody had given us, we calculated how the hair would react when our own unique design elements were applied. Fortunately, I trained with the best Hairdressers Manchester and London had to offer, during the period when short hair was the norm and I use the precision cutting techniques described here. Because fashion is cyclical and I have over 4 decades of experience, there is little I haven’t either done before or can work out in seconds. My approach is to regularly offer change to my customers, sometimes minor and sometimes more substantial, this keeps the hair looking fresh and fashionable. I will always offer honest advice even if it entails advising a customer not to have a particular service, if I feel it is not in their best interest, either in regard to their hair or value for money.